At best, an increase in foreclosures takes a double-edged sword to the housing market. On the one hand, it means we may be inching toward stabilization, as shadow inventory begins to move through the pipeline. On the other, it spells more stress for beleaguered homeowners and puts downward pressure on home prices. Housing economists predict that the next wave of foreclosures is about to hit, following the recent settlement between government and lenders in the “robo-signing” scandal. No doubt it will still cause pain to hard-pressed borrowers. But in a break from the past, it may avoid depressing home prices. “There are countervailing strengths,” said Mark Fleming, chief economist at CoreLogic, an analytics firm. “We could very well see increasing prices in some markets this year, even though they have significant shadow inventories.” The “shadow inventory” is the overhang of homes expected to move through foreclosure that are not yet listed on the market. 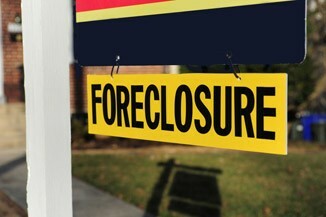 A report from CoreLogic released today said that completed foreclosures edged down from 71,000 in January to 65,000 in February, and that the number of homes in a state of foreclosure has shrunk by 115,000 homes from February 2011 to 1.4 million homes in February 2012. Despite the slight month-over-month drop, foreclosure activity has remained relatively steady recently, but economists predict that it will rise in the coming months because of the resolution of an investigation into illegal foreclosures between the government and major mortgage servicers. Fleming told AOL Real Estate that the housing market may feel the impact of the robo-signing settlement during the summer, after the five banks involved in the settlement implement government-approved foreclosure practices. “All of this will result in more foreclosure pain in the short term as some of the foreclosures that should have happened last year instead happen this year,” Daren Blomquist, vice president of online foreclosure marketplace RealtyTrac, said in February. The economist predicts that completed foreclosures will jump by 25 percent in 2012, totaling 1 million. But since the market must eventually absorb the excess supply of foreclosed homes, breaking the foreclosure logjam isn’t necessarily a bad thing. “I would like to see the pace increase, because that means we’ll be able to work off the inventory faster,” Fleming said. And the downward pressure on prices that’s caused by an increase in foreclosures may be mitigated by improvements observed lately in other sectors of the market, as well as the economy as a whole, he says. Home sales have risen by 13 percent in the previous six months, according to Capital Economics, while the delinquency rate saw a year-over-year 14 percent drop as of February, according to Lender Processing Services. Homebuilder optimism is measured at a five-year high, and real estate agents’ optimism reportedly more than doubled in the first quarter of 2012, against the backdrop of positive market indicators. If the positive trends continue, Fleming said, the market could begin to stabilize as early as this year. A recent report provided one of the most hopeful signs of recovery for the housing market yet. John Burns Real Estate Consulting found that home prices actually have risen marginally since January. The company says that its gauge of the market, the Burns Home Value Index, eliminates a three-month lag time that distorts other indices by recording contract signings of home purchases, not closings. Its finding conflicts with most other indices, though, such as the Standard & Poor’s/Case-Shiller home-price index, which showed a drop in home prices in January. Follow Teke Wiggin on Twitter (@tkwiggin), follow @AOLRealEstate, or connect with AOL Real Estate on Facebook. HARP 2.0: Do You Now Qualify for Mortgage Relief?